In the age of brands having veritable lakes of data, how do you action and champion the story behind the data - how do you use it to bring real insight into who your customer is and what she wants? In this episode we sit down with Rachel Swanson, founder of Method + Mode, a market research firm, to take some of Future Commerce's own medicine - to listen to our audience and learn from the data that was generated from our first-ever audience survey. 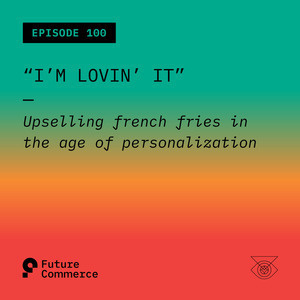 Future Commerce conducted an audience survey study at the beginning of this year, and Rachel Swanson of Method & Mode is here to talk results. Future Commerce is working to create a community around the content we produce. What can the FC team learn from our incredible audience? Data is more than just numbers, and proper implementation may require a facilitator to connect the dots. Rachel Swanson from Method + Mode is here, and she breaks down the results of Future Commerce's first-ever audience survey. Rachel started her career working at digital agencies in the era of split-testing (also known as A/B testing. Then, over ten years ago, Rachel got a job working at Condé Nast, working in-house with Glamour, and W for three plus years each, honing the brand messaging and positioning for ad sales with a data-driven method. What drove Rachel while working in partnerships with brands, was the innovation and the drive to bring out the white space, which ultimately pushed her to strike out on her own. "Helping innovators Innovate is kind of how I see what I do." This survey taught the FC team so much about our audience, and their feedback was invaluable to the development of our show. Phillip points out two main problems that Future Commerce faced before this survey and our rebrand. One issue being our content was much better than our logo suggested, and two being that even though retail voices were listening to Future Commerce, we didn't know who they were. Rachel discusses some of the key points from the survey, including that our listeners are 60/40 B2B-B2C focused, and that listeners are looking for more diversity in guests and topic discussion. Also, thankfully listeners do seem to like the back-and-forth that Phillip and Brian engage in, which is probably a good thing. Does Our Future Audience Want to See Phillip and Brian in HD? Brian asks Rachel what our audience cares slightly-less about? Apparently, our current listeners have little desire to Phillip and Brian on video, which seems to devalue Phillip's Ulta Beauty makeup haul. Brian wonders whether future listeners may be more interested in video, mainly depending on the context. Our audience does seem to respond well to our growing Instagram game. Also, since we learned that our audience favors consistency, Phillip wants everyone to know our new episodes come out on Friday's. Brian asks Rachel if she can explain what makes for proper research? Rachel explains though many people equate data and research, they aren't the same. Data becomes unless it is married with human connection is what drives standout work. And as Rachel points out machine learning cannot derive everything, because it lacks that human connection. These are all reasons to work with someone who can decipher that data and connect the dots, be it in-house or otherwise. It's more than just lakes of data; it's about storytelling, and connection with your customers. Rachel: "If you're not an expert on your customers or your audience you're not doing your job as an executive." Want to reach out to Rachel, and Mode + Method? Go over to --> https://methodandmode.co/. Retail tech is moving fast, and Future Commerce is moving faster! Are digital experiences the gateway to a more accessible luxury experience for millennial consumers? 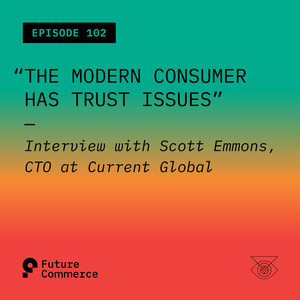 Scott Emmons opens up to us about his successes at Neiman Marcus, the future of technology adoption at retail brands, and how he's bringing that culture of innovation and technology leadership to other brands in his new role at Current Global. 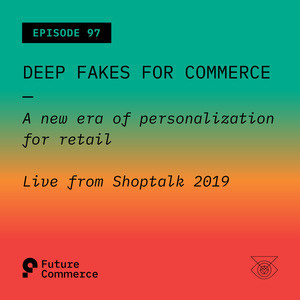 Our analysis of "deep fakes" continues as we sit down with SuperPersonal, the technology which maps a customer's face into the stores that they shop online. Founder Yannis Konstantinidis talks about the evolution and eventuality of the use of the technology, customer expectation, the blurred lines of privacy and personalization, and much more. 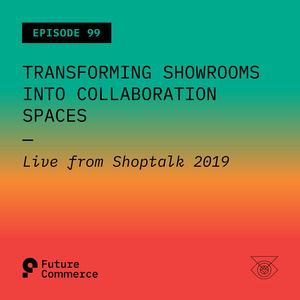 "Transforming Showrooms into Collaboration Spaces"
Live from Shoptalk 2019, there's a lot to say about brands, Levi's keynote, and puppies which seem to be everywhere! Future Commerce Director of Content Lianne Hikind joins the show, and clienteling is a major theme at Shoptalk sessions. 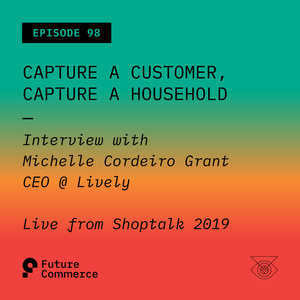 Lively CEO and Founder Michelle Cordeiro Grant sits down with us at Shoptalk 2019 to talk about how they're using community to drive commerce in an authentic way - and in so doing creating entire households of customers by partnering and empowering women who are "Wild at Heart, with Boss Brains". CVS launches "Beauty Mark", its truth-in-advertising campaign; while AI is generating faces that are plausibly real. Meanwhile companies like SuperPersonal are putting customers into model try-on videos. Have "deep fakes" - AI algorithms that map faces and micro-expressions onto stock footage - come to retail? How can they help? How can they hurt? Recorded live at eTail West 2019, Brian sits down with Chris Homer of thredUP to talk about how data is assisting the "treasure hunt" in the secondhand retail market space. thredUP uses data, events and preferences to help their customers find wardrobe pieces they'll love, and they use technology to assist them to have joyful experiences over and over. 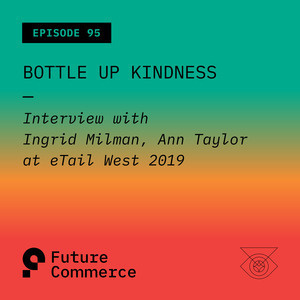 Brian sits down at eTail West 2019 with Ingrid Milman, eCommerce Strategist for Ann Inc (Ann Taylor | LOFT | Lou & Grey) . Ingrid talks about customer expectations in the digital age, clienteling as a culture, and how to lace kindness into a brand culture from top to bottom - from employee interaction to customer experience. 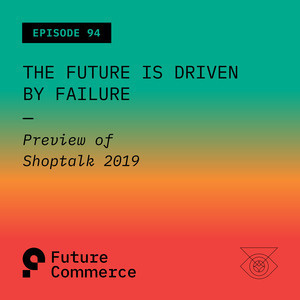 "The Future is Driven by Failure"
Shoptalk 2019 is mere weeks away and so we take the opportunity to look through the brands, the speakers, and the agenda! ALSO: Is voice dead? Why don't we talk about failure? What were the key takeaways from the 2017 and 2018 editions of Shoptalk and what are we hoping to learn in 2019? 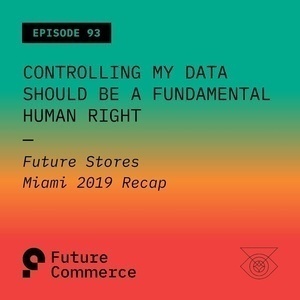 "Controlling My Data Should Be a Fundamental Human Right"
"Controlling my data will be a fundamental human right in the 2050's" Phillip and Brian recap Future Stores Miami and get deep into futurism on what the future of humanity and commerce looks like as we evolve from Homo Erectus, to Homo Sapien and finally to Homo Deus.